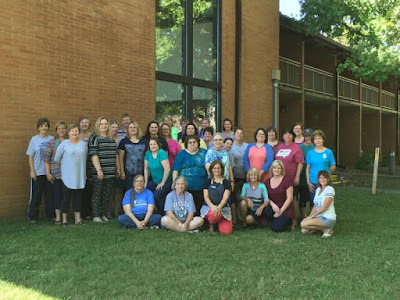 I've been away from my blog longer than I planned but the last few weeks I have been very busy prepping for my Annual StampinHeaven Fall Retreat which took place this past weekend at Henry Horton State Park. After the retreat, the attendees could add their name tag to the layout. 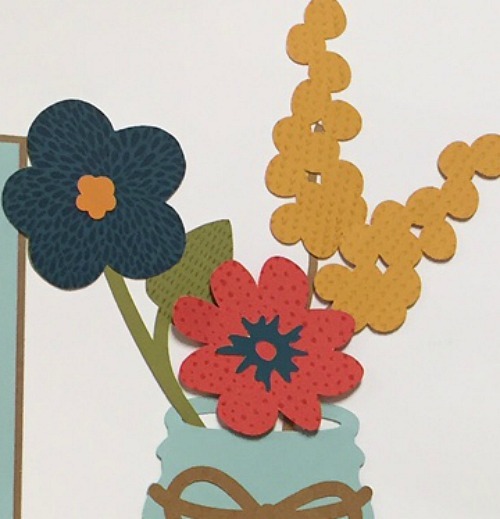 The flowers, leaves and acorns were all stamped with the background stamps that are included in the Flower Market Cricut Collection. The paper is from Swan Lake. 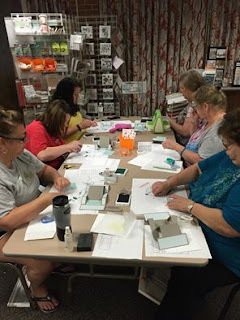 During the retreat, the ladies had an option to attend a few classes to learn new techniques. Saturday night we had many still going strong as it was getting late! It was a wonderful weekend with a bunch of the best ladies I've every met! Thank you all for making it a great time for all! Now I'll be gearing up for the WINTER retreat which takes place in February! Until then.... Keep on Scrappin! 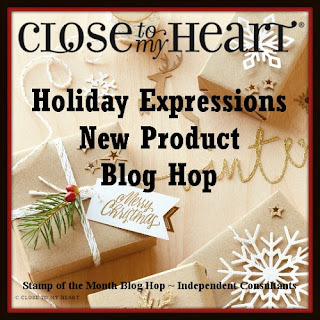 Welcome to our Holiday Expressions New Product Blog Hop! 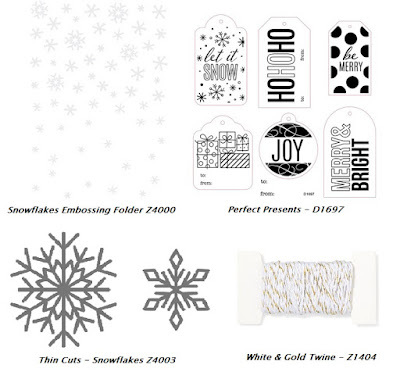 We are showcasing many of the new products in our Holiday Expressions that was just released this month! 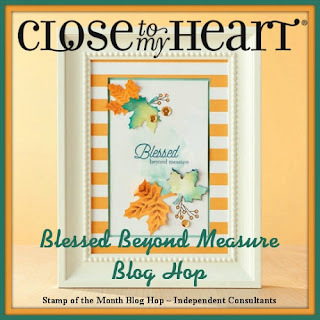 If you have come here from Alyson Mayo's Blog, you are on the right path! The blog hop is a great big circle, so you can start here and work your way around. If you get lost along the way, you'll find the complete list of participating consultant's HERE. 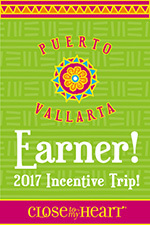 I created this simple card using three NEW products. 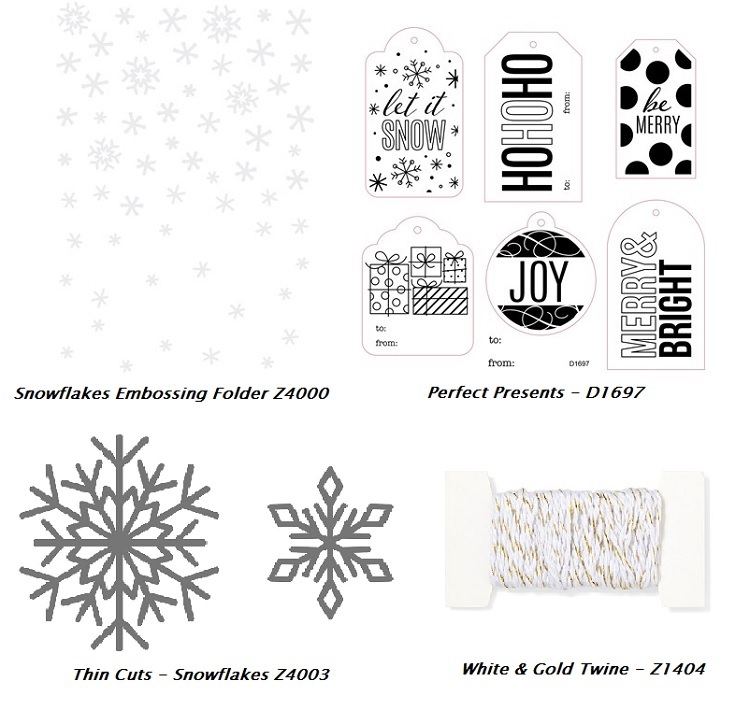 First, I used the Snowflakes Embossing Folder to emboss onto the Crystal Blue Cardstock. Next I cut snowflakes using the Thin Cuts-Snowflakes with White Glitter Paper. 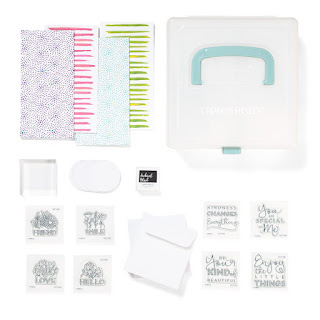 My last new product I used is from the stamp set "Perfect Presents". 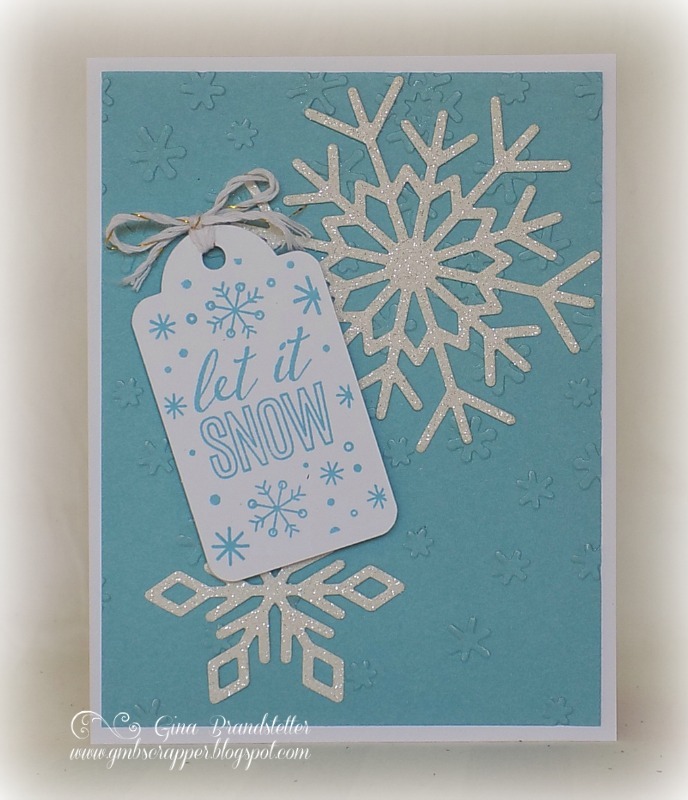 I stamped the "let it snow" image with Crystal Blue Ink on a tag that I cut using the Art Philosophy Cricut Cartridge. I tied off the tag with White Gold Twine. Now it is time to hop over to Lauren Moore's Blog to see which new product she is showcasing! Recently I created the three layouts in the Jeepers Creepers Workshop Your Way kit. 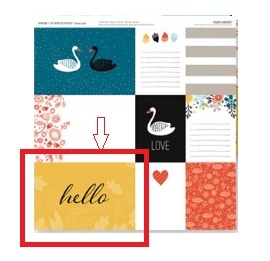 The cutting guide also includes cutting directions for three sets of cards of 3 different designs. 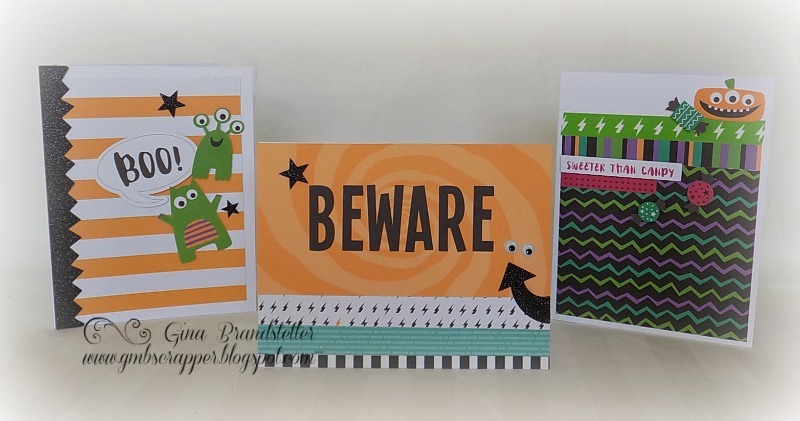 Since I don't really send out Halloween Cards I decided to create one of each of the designs. 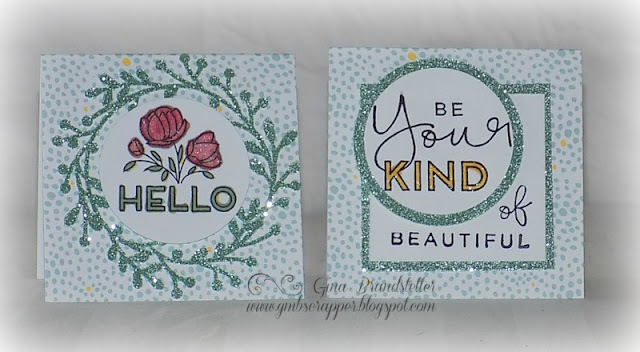 Instead of using the recommended stamp set, I used my leftover compliments that were included in the WYW kit. I just love the little googly eyes from the the Jeepers Creepers Assortments! 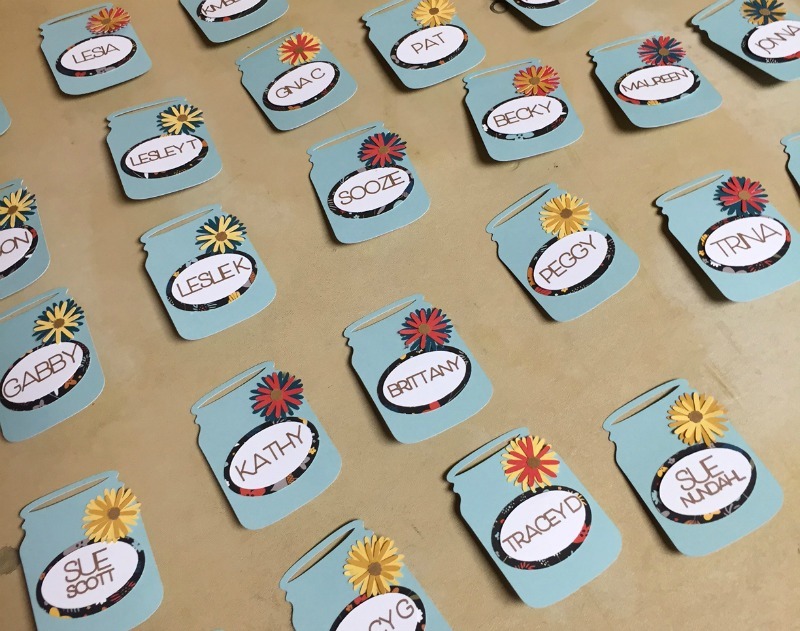 The Compliments and Assortments are both included in the Jeepers Creepers Workshop Your Way Kit. I thought they turned out quite cute! Welcome to our National Stamping Month Blog Hop! 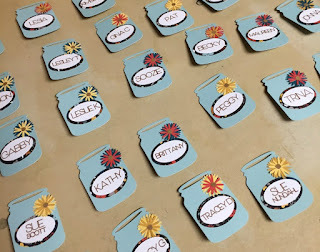 We are showcasing this month's special - Create Kindness card kit! 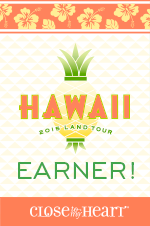 If you have come here from Jean McNulty's Blog, you are on the right path! The blog hop is a great big circle, so you can start here and work your way around. If you get lost along the way, you'll find the complete list of participating consultant's HERE. 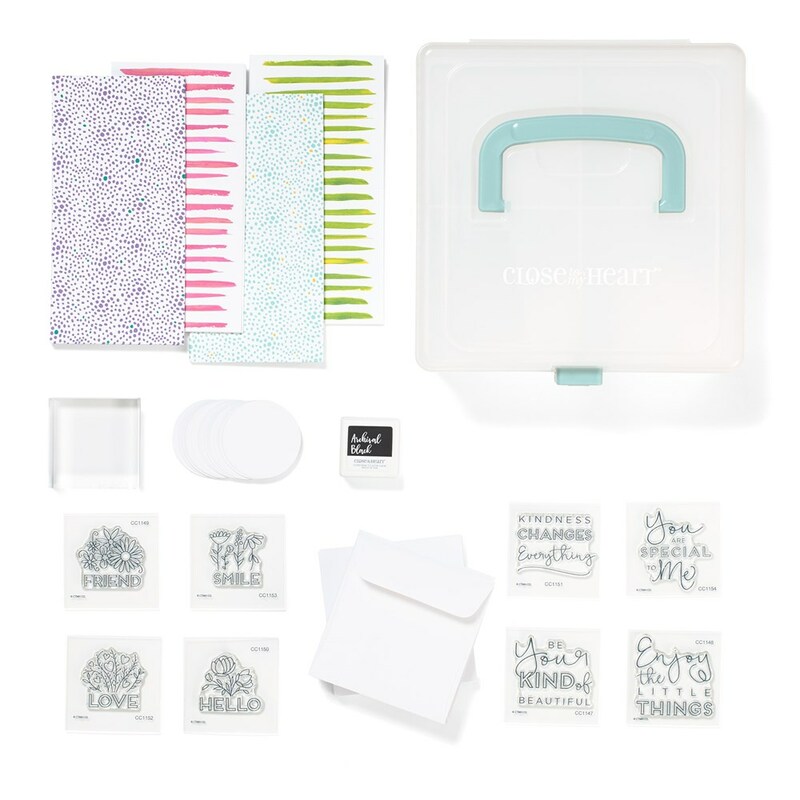 The Create Kindness card kit comes with 8 M-size stamps, a 2x2 block, a mini Archival Ink pad, a package of 24 pre-printed 3x3 cards with envelopes and white circle cut outs... all in a mini organizer! I've already created a bunch of cards with my kit. I'll be sharing those all through out the month of September. 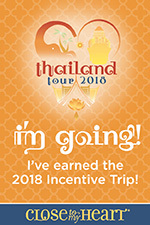 Today I'm going to share two of them here! Four of the stamps fit perfectly on the white daisy cardstock circles that are provided. The other four can be stamped inside as sentiments. 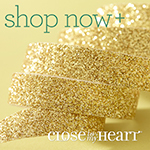 I used our our Sea Glass Glitter paper with these two cards. For the card on the left, I cut a wreath with our new Flower Market Cricut Cartridge. After coloring the image with my ShinHan Touch Twin Markers, I brushed them with my new Shimmer Brush. 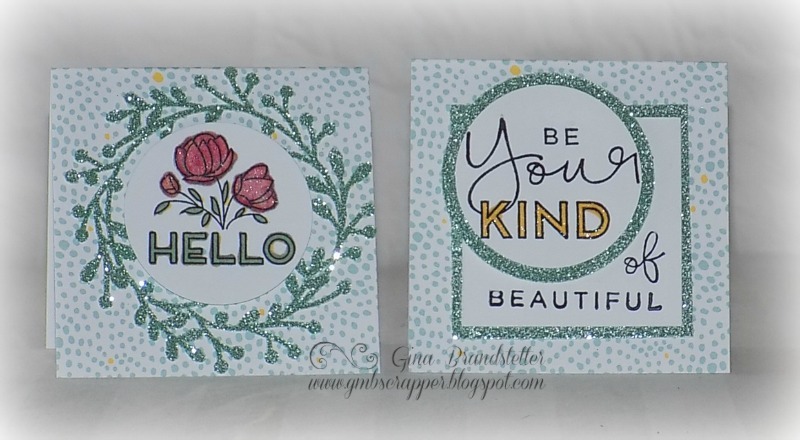 For the card on the right, I layered the senitment using a white daisy circle for a portion and then stamping the remainder of the sentiment near the bottom of a square. I layered these with Sea Glass Glitter Paper. 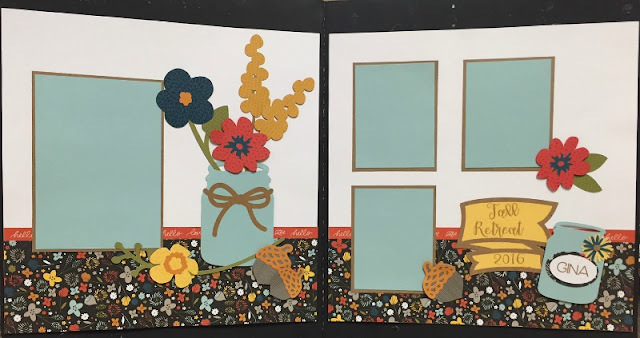 Now, it is time to see what Lauren Moore has created with her kit! It's fun to get a little appreciation every now and then and I think it is even MORE fun to give it! 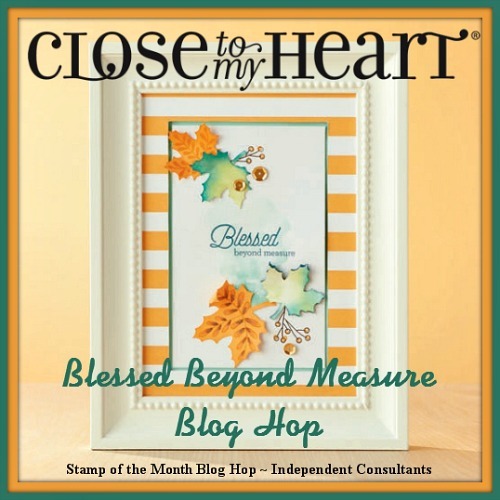 Close To My Heart has made it so easy with this exclusive National Stamping Month special. 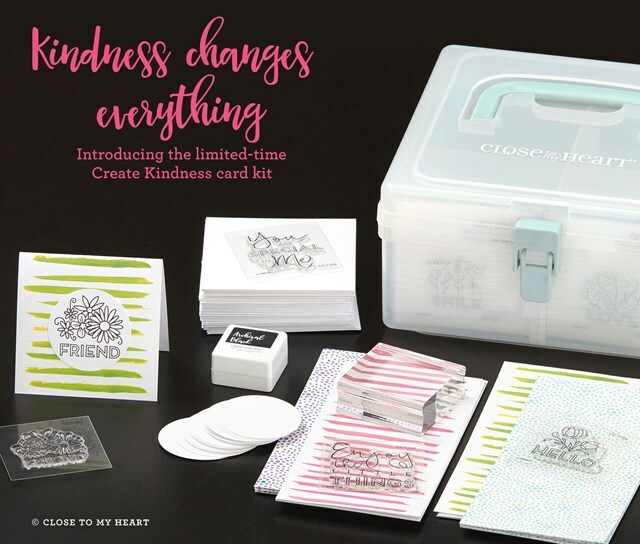 They have put together a complete kit with everything you need to create 24 3x3 cards of kindness. 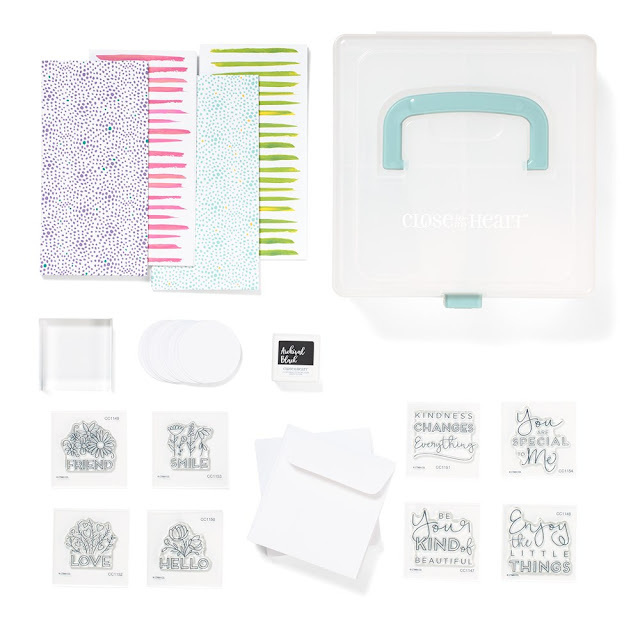 It has EVERYTHING - right down to the 2x2 block and black archival mini ink pad and a Mini Organizer to keep it all in! You can create on the go, at a game, at a practice, at work (oops, no - I didn't just say that!). The card bases, envelopes and white circle cut outs are available to purchase for $9.95 and you can also purchase these stamps sets individually for $2.95 each but they will ONLY be available until September 30! 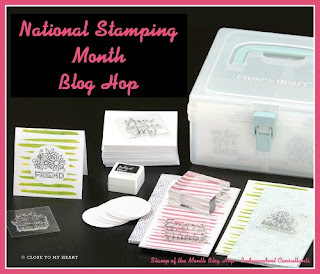 Be sure to come back and visit my blog on September 7 for our National Stamping Month Create Kindness Blog Hop! We will be sharing artwork created with this kit! In the meantime, go purchase your kit HERE and start celebrating with us!